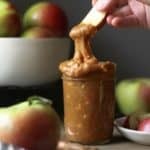 Two-Ingredient Peanut Butter Caramel Apple Dip so easy to make and so delicious. It’s a dangerous combination… you’ve been warned! I was jonesin’ for a caramel apple the other day. So I accidentally on purpose made this dip. I not only wanted caramel but also the nuts. All good caramel apples have nuts, right?! 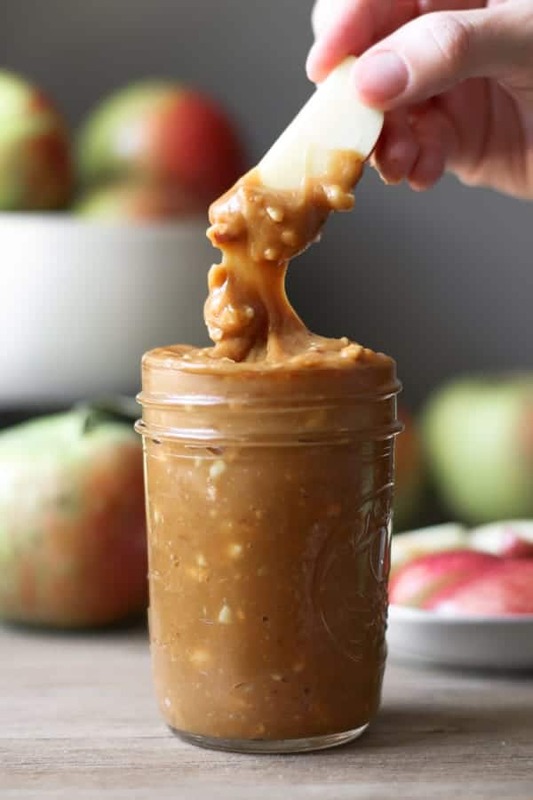 Well that’s how Peanut Butter Caramel Apple Dip was born and it is so good you have to try it! #Sorrynotsorry to your waistline! Why is it so easy? Well, it’s just two ingredients! Crunchy (yes, crunchy) peanut butter and caramel sundae sauce! The result is an apple dip that tastes just like my favorite caramel apple! You *could* use smooth peanut butter, because I know you have that on hand. I will tell ya though, those crunchy little nuts really add to the ‘caramel apple’-ness. The brain trickery, if you will, that makes you think you’re actually eating a caramel apple. But, you know, do what you want to because you’re going to anyway. If it’s me though, I’m Team Crunchy PB. So, what are you waiting for? Go get some crunchy peanut butter and make this dip! 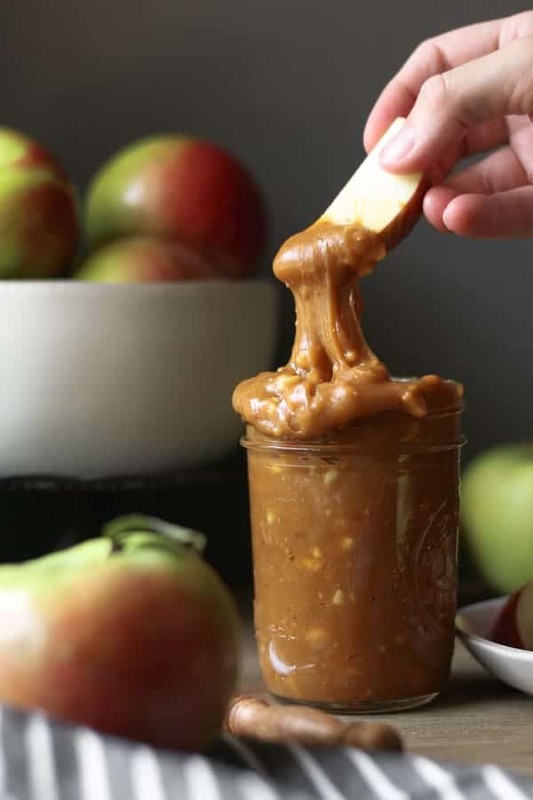 Sliced apples have never been happier than being dipped into this peanutty-caramelly sauce! Yum! 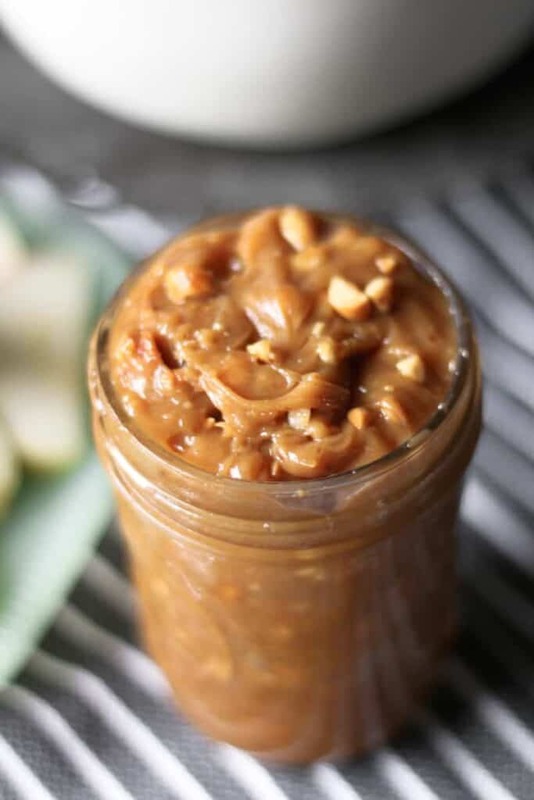 Mix the caramel sauce together with the peanut butter. Chill if desired. Serve with sliced apples. Yum! Are you jonesin’ for pie instead? How about these then? Great to hear, Lynda! I hope you enjoy! This is the best dip! I love caramel apples but I don’t usually have them on hand. This is so easy to make. I always have a jar in the frig. The perfect sweet treat.